The great crested newt was @SpeciesofUK from 28th April to 4th May, 2013. 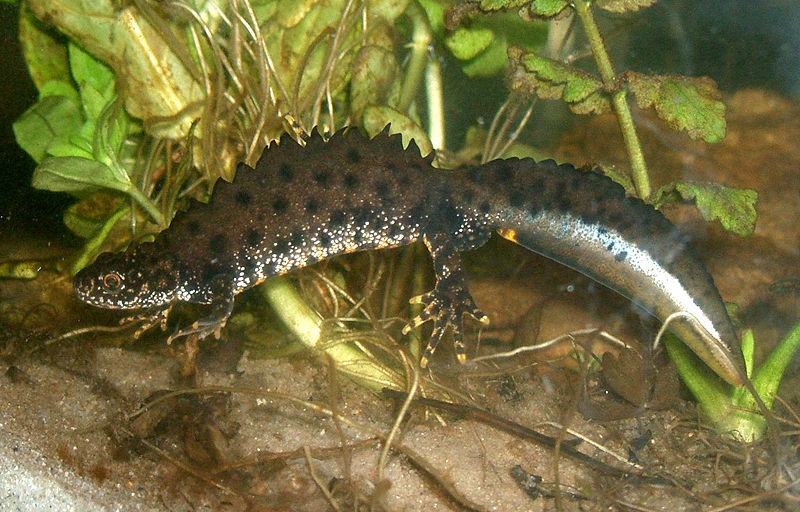 The great crested newt is the UK's largest newt and its most threatened. Sadly, the population has been in decline across the last 40 years. They are mainly active at night, spending the day at the bottom of ponds or hidden in vegetation. The great crested newt is widespread throughout northern and central Europe extending east to the Ural Mountains in Russia. The species has a wide distribution in Britain, but is absent from Cornwall, Devon, and parts of Wales and Scotland and is generally uncommon. It is absent from Ireland. The great crested newt is one of our seven native species of amphibians. Amphibians are vertebrate (backboned), ectothermic (cold-blooded) tetrapods (four-legged) which depend on aquatic ecosystems. Amphibians use their skin as a secondary respiratory system. They evolved from fish, and they still start life as a larvae that inhabits water. Amphibians dominated dry land in Carboniferous and Permian eras before losing ground to the reptiles. 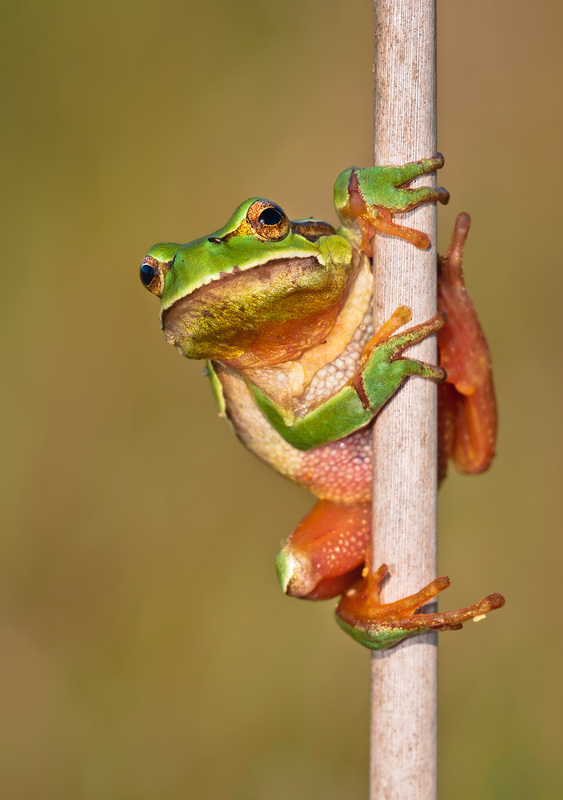 Nearly 90% of all amphibians are frogs. Newts are a minority population! Newts are aquatic, tailed amphibians from the family Salimandridae (Salamanders). Newts are basically salamanders that live in the water as adults. 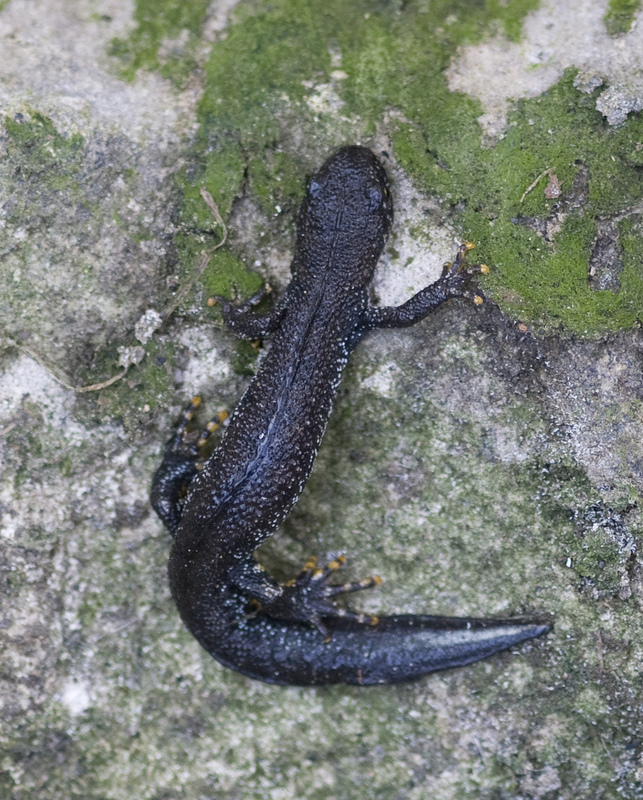 The word newt is derived from Old English eveta or 'eft,' a word which is now used specifically to describe juvenile newts in their terrestrial stage. 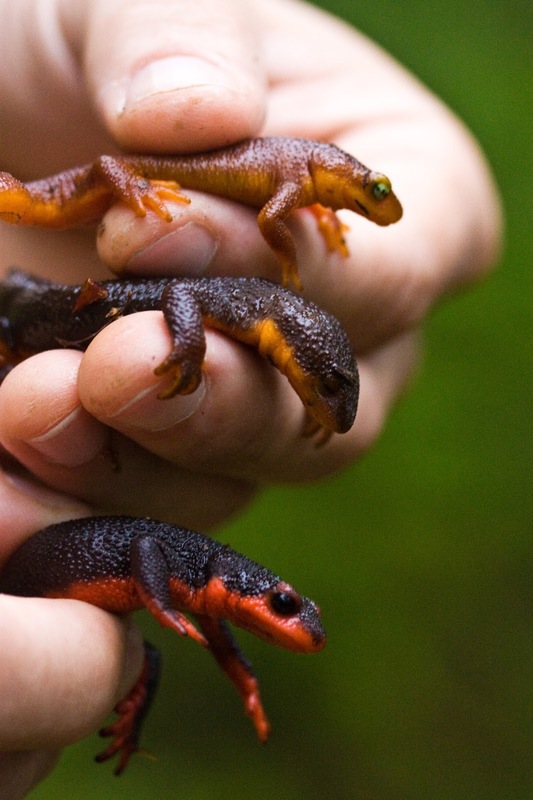 During their life, newts go through three distinct stages: aquatic larval, terrestrial juvenile and aquatic adult. 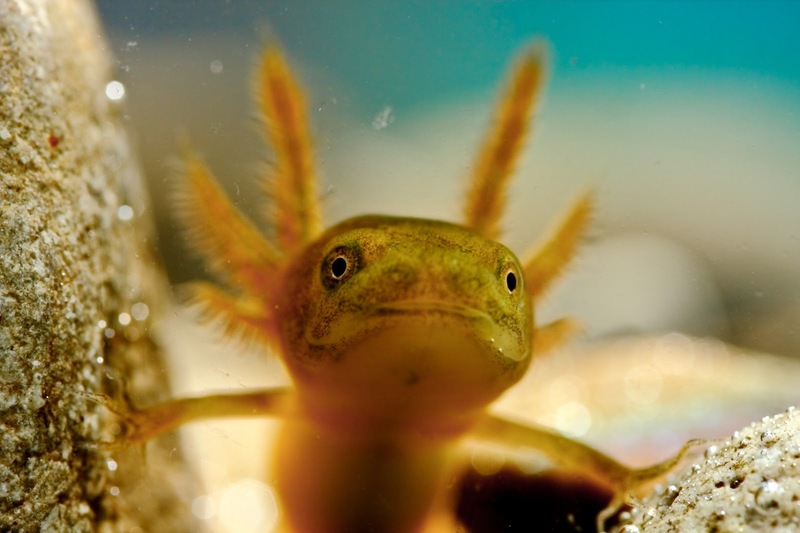 After their larval stage, newts lose their gills and metamorphose into efts, spending two to three years on land before changing again into aquatic adults. 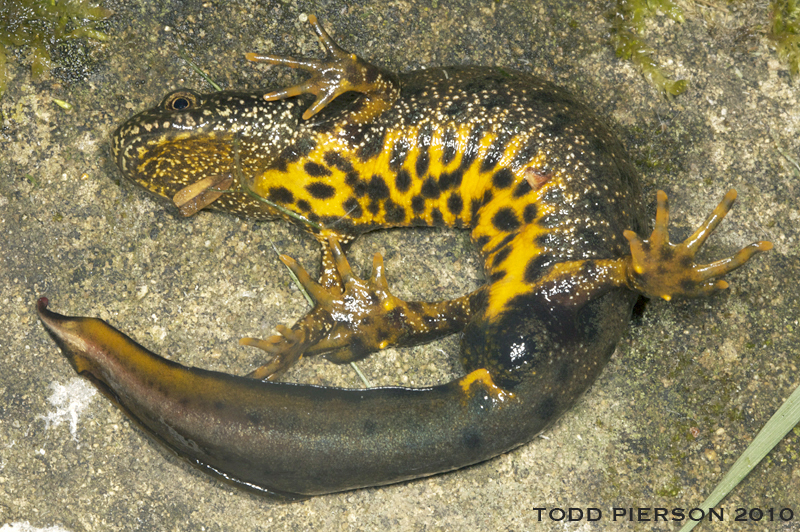 Adult newts are regeneration specialists. They can regenerate limbs, tail, spinal cord, jaws, eye tissues such as the lens and retina, their intestine and parts of the heart. Newts can breathe in three different ways: with gills (when larvae), with lungs (when on land), and by diffusion through the skin membrane (when in water). And so finally, on to our subject, the great crested newt! The great crested newt is dark brown or black and warty-looking (giving it its other common name, the warty newt). The underside of the great crested newt is quite remarkable given the dark appearance of the rest of the newt. It's bright, bright orange, with dark markings that are unique to each individual. The female great crested newt is usually a little longer than the male and is more bulky in appearance, particularly when she’s carrying the eggs. Outside the breeding season, the male and female great crested newt are fairly similar in appearance, although the females always have an orange line on the tail. But during spring it's the male that stands out. He develops a white flash on his tail and the spectacular crest that gives the species its name. Juveniles generally look like females but may have a yellow stripe along the back. Great crested newts feed on a range of aquatic invertebrates, and occasionally tackle larger prey items such as adult smooth newts and large dragonflies. They are prey items themselves for a variety of other species, such as snakes and great crested grebes. In April or May, the male great crested newt begins his extravagant courtship display. He stands on his front legs in front of a female with an arched back while he waves his tail around. If a female is receptive to a courting male, he deposits a gelatinous jelly cone with a sperm cap called a spermatophore, and then moves alongside the female to coax her into collecting it. Hundreds of eggs are laid in February or March, which the female protects from predation by folding the leaves of water plants or pond detritus over them in a 'concertina' effect. Great crested newt larvae are mottled with black spots and have a tiny filament at the end of the tail. 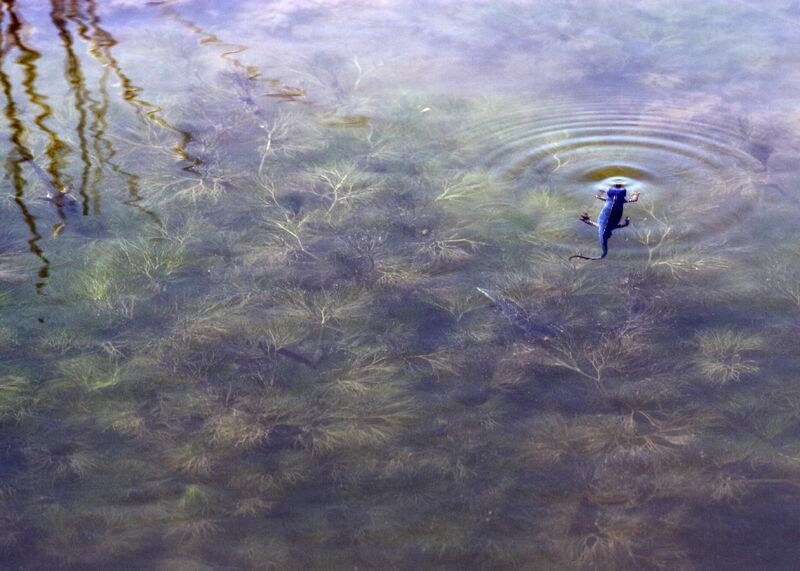 They stay in the water for about four months before metamorphosing into juveniles. The juvenile lives on land in habitats with dense cover, before returning back to the breeding pool after two to three years as sexually mature adults. 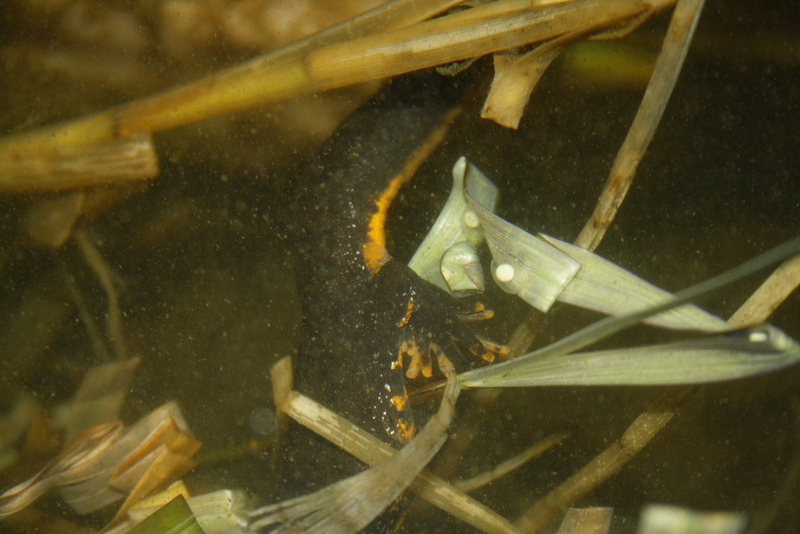 The adult great crested newt leaves the water outside of the breeding season, in August and September. Their behaviour during their period on land is still poorly understood. Between October and March they hibernate, either in mud at the bottom of their pool or under a log or stone. In the UK and much of Europe the great crested newt is in decline although across its wider range it is marked as "Least Concern" on the IUCN Red List but with a "decreasing" trend. It favours large ponds with abundant weeds and no fish. The problem in the UK is the loss of suitable breeding pools, due to pollution, stocking with fish and changes in agricultural land use. 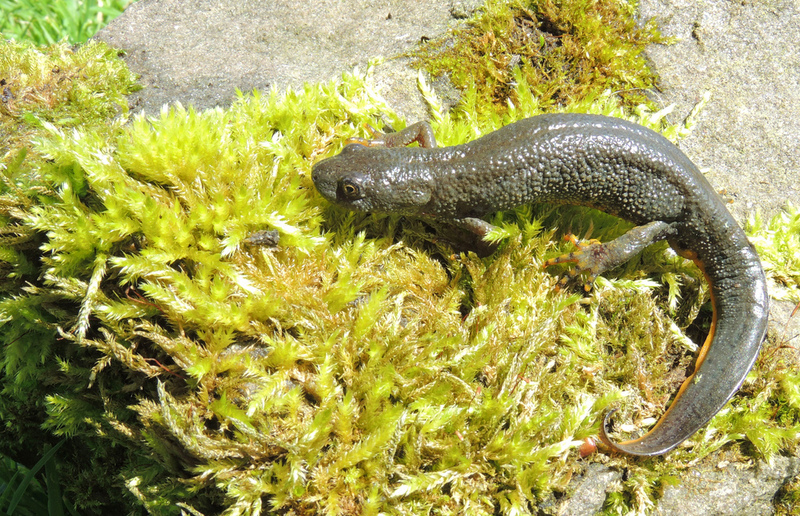 The condition of land between occupied sites is also an important factor, as many newt populations persist as ‘metapopulations,’ a series of local populations between which individuals migrate. 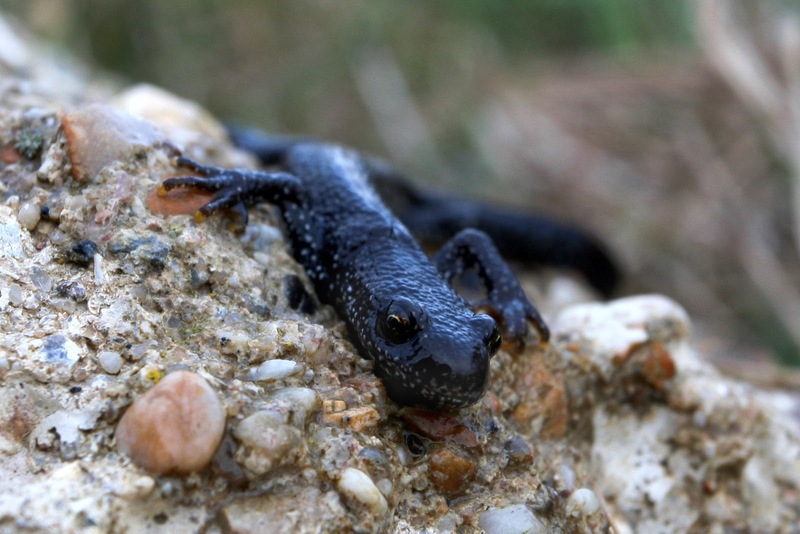 The great crested newt is a priority species under the UK Biodiversity Action Plan which aims to maintain and enhance current populations with a target of the restoration of populations to at least 100 sites. During March this year, a detailed study of great crested newt distribution began in the form of pond surveys in 7 pilot areas. It is an offence in UK law to: kill, injure, capture or disturb a great crested newt; damage or destroy their habitat; and to possess, sell or trade them without a licence. The protection is very strict. For example, even if a school is pond-dipping with children and temporarily captures great crested newts, a licence is needed, unless it happened inadvertently in a pond where they were not known to be present. A recent example of a great crested newt licence being granted was for the building of the Durham Constabulary headquarters. Newts famously appeared in literature in Capek's 1936 SciFi satire 'War with the Newts,' in which an intelligent race of newts are enslaved by and then rebel against man.